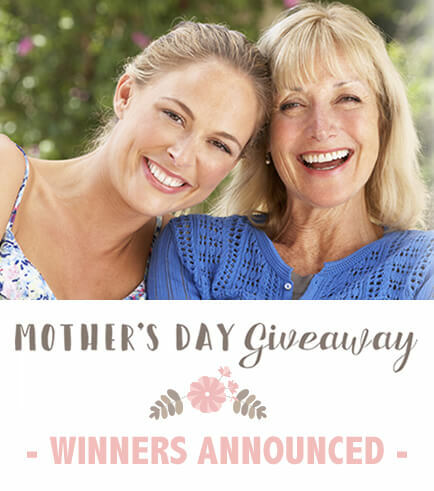 Thank you to everyone who entered our Mother's Day Giveaway. Congratulations to our winners! These three amazing moms have won a $100 Gift Certificate to a local full-service salon and spa! Marie was nominated by her mother Pam, who says that her daughter is especially deserving of a Spa Day, as she recently had a baby and a dangerous situation of a huge tree falling through her house. Everyone is fine, although the family is still dealing with the damage. Marie is staying strong and positive as the family continues to get their home back in order. We are thrilled to be able to give Marie this gift on her first Mother's Day. She will be enjoying a $100 Gift Certificate to Mitchell's Salon & Day Spa in Cincinnati! Jennifer was nominated by her mother-in-law Sue, who tells us that her daughter-in-law definitely deserves a Spa Day. Jennifer is an amazing mother of 2 adorable boys - ages 3 years and 9 months. Sue shared with us that her daughter-in-law is also a cancer survivor who works full-time and is very successful in her field. Jennifer is a very admirable, hard-working woman, and as Sue tells us, very deserving of a reward for everything that she does! We are so excited to give Jennifer this gift on Mother's Day. She will be enjoying a $100 Gift Certificate to Square One Salon and Spa in Dayton! Karen was nominated by her son Phil, who shares that his mother was an elementary school teacher for almost 40 years. Karen taught everything from first to fifth grade and was an instrumental part of the students' learning experience. She worked in schools with disadvantaged children where she could make the biggest impact on the lives of her students. We are so excited to give Karen this gift on Mother's Day. She will be enjoying a $100 Gift Certificate to Kenneth's Hair Salon and Day Spa in Columbus!